The brilliant geometry of this work is mirrored in the artist's fine metal sculpture of the same period. 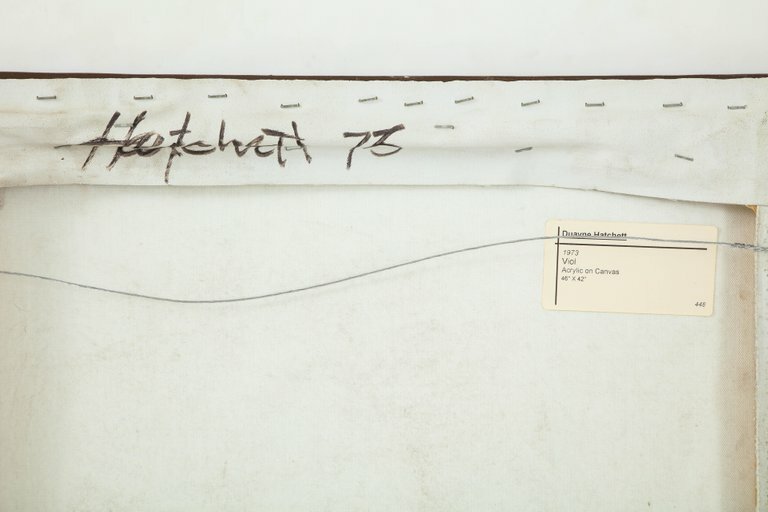 Hatchett's work was chosen for the cover of the catalog of the 1966 Whitney Museum of American Art Annual Exhibition of Sculpture and Prints. H 46 in. x W 42 in. x D 1 in.